The federal government has given conditions for removal of subsidy on premium motor spirit (otherwise known as fuel) which includes provision of alternative cushioning measures mutually agreed between stakeholders to protect the economically vulnerable members of the population. 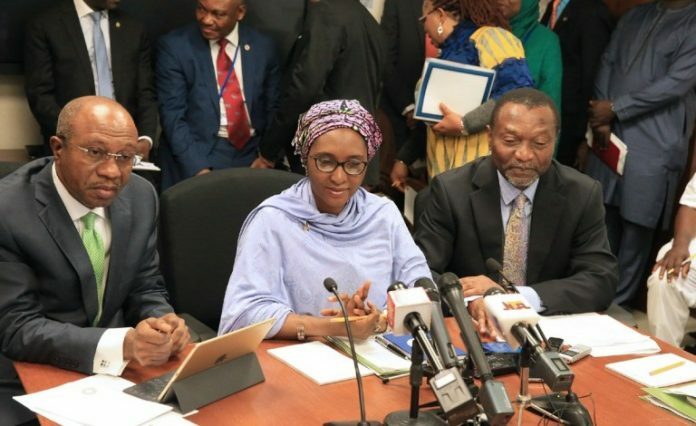 Finance Minister, Mrs Zainab Ahmed, at the press briefing marking the end of the 2019 Spring Meetings of the World Bank and the International Monetary Fund, IMF, in Washington DC, USA, Sunday, said the federal government is yet to arrive at such measures. Consequently, according to her, there is no immediate plan to remove fuel subsidy, contrary to speculations that have led to the emergency of fuel queues in some parts of the country. 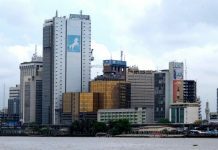 The speculations came at the backdrop of the position canvassed by the World Bank/ IMF officials during the meetings demanding the removal of the subsidy and use the resources generated from the exercise to invest and develop the nation’s infrastructure. But Ahmed stated: “There is no imminent plan to remove fuel subsidy. We are here to discuss with the global community on various policy issues . “One of the issues that always come up in the report, especially by the IMF as a corporate body is how we handle fuel subsidies. IMF is saying fuel subsidies are better removed so that you can use the resources for other important sectors. “In principle that is a fact. But in Nigeria, we don’t have plans to remove fuel subsidy at this time because we have not yet designed buffers that can enable us remove fuel subsidy and provide cushions for our people. So there is no plan to remove fuel subsidy. “We will be discussing with various groups . If we have to, what are the alternatives? We have not yet found viable alternatives . 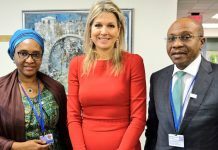 So we are not yet at the point of removing fuel subsidy.” $1bn loan underway The Minister also revealed that her delegation held discussions with the World Bank with a view to taking a USD1 billion loan for the development of the power sector. “We will also discuss the Country Portfolio Performance of Nigeria which currently stands at $9.8 billion with the Nigerian Country team at the World Bank and how we could manage the portfolio for optimum results.” Mrs. Ahmed added, “At the IMFC meetings, the Managing Director requested for a mandate to pursue some negotiations with Governors for temporary financing options for ensuring that the Fund remains adequately resourced by maintaining the current resource envelope of the Fund through borrowed resources. This arose partly due to the delay in completing the 15th general review of quotas.